Simon and Ruth extend a warm welcome to you to their secluded cottage close to the Wye Valley and in the Forest of Dean. The cottage is available for week long stays or weekday or weekend short breaks. 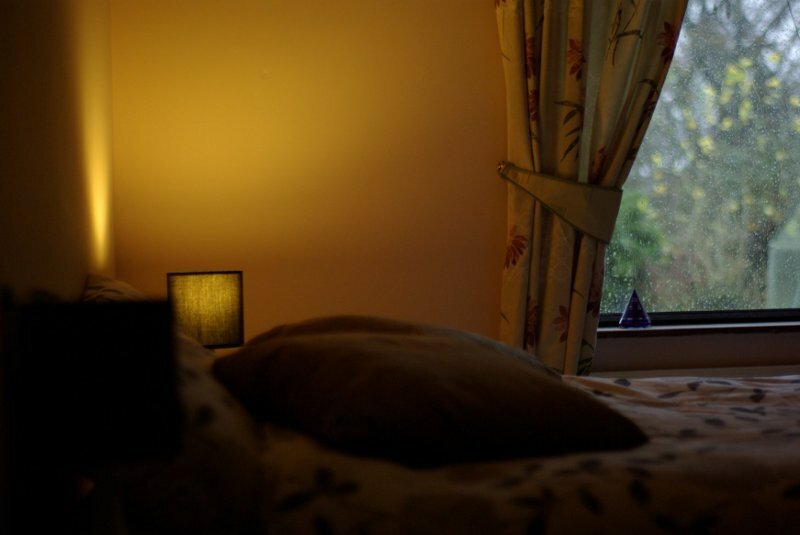 Short break stays can begin on any day of the week. Cosy and warm in Winter with log burning stove. A cool and charming cottage in Summer. This is a gem of a holiday hideaway. This is a chill out and relax destination. Honeymoon couples will find this ideal. Families will find it a great base for adventure and activity days out. Nature lovers will enjoy the abundant wildlife. Those who need to relax and recharge will delight in the sauna and hot tub in the private spa area. If you aren't looking for a super luxury, apartment-style city break but instead a rustic cottage stay on the edge of woodland in the countryside, then our place is likely to appeal to you! 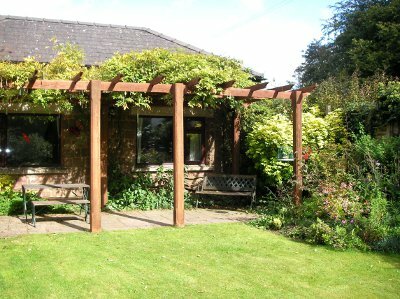 Pike House cottage is available as a self-catering, two bedroom holiday let. The cottage sleeps 4. The bedrooms are set up as 1 double bedroom and 1 twin bedroom. We are confident this is a holiday cottage you will be delighted with. Are you just one couple? You can receive a discount and have just the double bedroom open. Please see the Prices page for details. We meet and greet all staying guests. We aim to provide a warm and helpful welcome. We'll show you the spa area and run you through how the hot tub and sauna work so you'll have no concerns. Our holiday cottage is very special to us and we will help you settle in so it's a special stay for you. Whether it's Spring, Summer, Autumn or Winter our holiday hideaway is a cosy location for a holiday break. In Winter the log burning stove provides a warm comforting glow. Logs are provided and usually you will find fire lighters ready for you too. 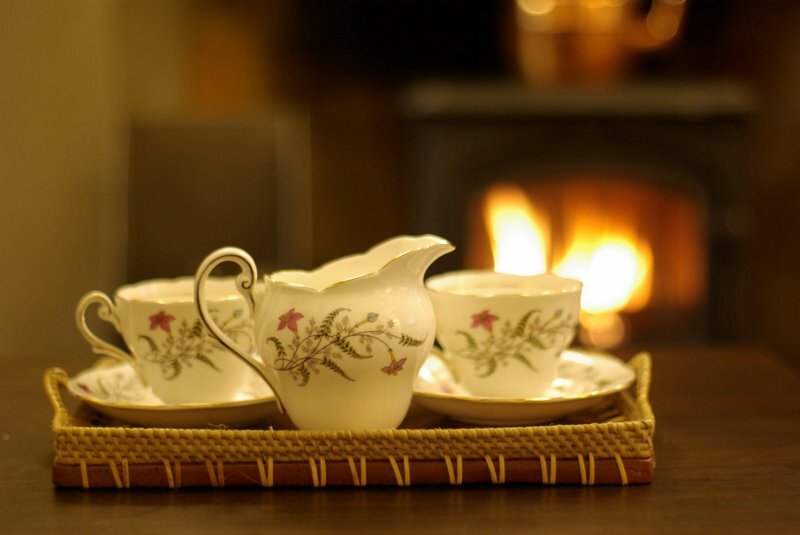 In addition, the whole cottage is nicely warmed by oil-fired central heating throughout. In the Autumn, with the leaves disappearing from the trees, there's plenty of colour in the cottage's enclosed secluded garden. The Forest of Dean is glorious in late October. 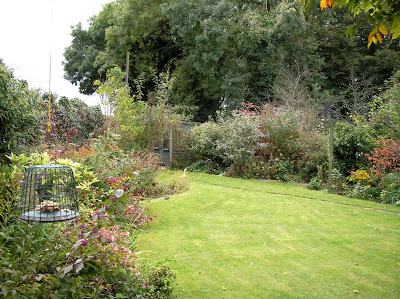 In the Spring, hear the birds singing and watch them feeding in the garden from your bedroom window. 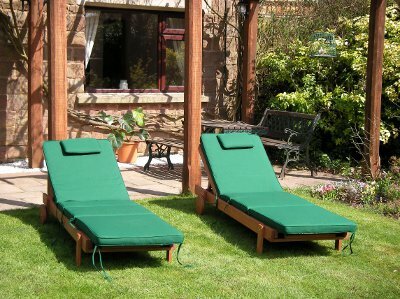 In Summer the sheltered, secluded garden is perfect for those who enjoy sunbathing, affording the possibility of an all over tan. Access to the cottage is good come snow, rain or shine. The road past the cottage is kept open and well gritted in all but the most extreme of winter conditions. The Forest of Dean welcomes visitors all year round. The Wye Valley is only a mile and a half from the cottage. Our holiday hideaway is former toll house built in the early 1800s. It was very sympathetically extended in the mid 1970s. The cottage retains the charm of the old toll house while providing the comfort of a modern home. The original part of the cottage still has the old beams. It is this original part that is now the living room. A stone surround fireplace with log burning stove adds to the charm and cosyness. We are delighted to be able to offer our holiday cottage as self-catering accommodation in the Forest of Dean, Gloucestershire, UK. 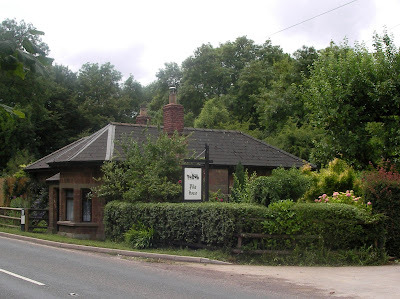 Pike House Cottage is the Forest of Dean, Gloucestershire, England. It is just south of Coleford and a few minutes drive away from Clearwell caves and from the increasingly popular Puzzle Wood. Access by car is excellent. See the photo at the top of the page as it gives a good impression of the setting of the cottage. Our cottage is just 2 1/2 miles from Park End. Parkend is the village many would consider most central to the forest area of the Forest of Dean. It is also the top most point of the Dean Forest Railway. The cottage is set apart from other properties. It has a wonderful sense of peace and rest about it. There is some sound of vehicles but most people don't find any distraction from this and the birds singing outside the kitchen door get much more of their attention. The cottage functioned in the 1800s as a toll house, such toll houses are locally referred to as a pike houses. Our cottage is probably the best example of a pike house left in the Forest of Dean. The Wye Valley is easily accessed from the cottage. The river Wye is less than 3 miles away if you drive to its nearest point through the villages of Clearwell, Newlands and then towards Redbrook. When the road reaches the A466 - which follows the Wye Valley - turn left for Redbrook and right for Monmouth. Interestingly, you don't have to cross the River Wye to be in Wales. The Welsh border reaches to Staunton on the Forest of Dean side of the river and only a couple of miles from Coleford. Photos on the top right are places and scenes in and around the Forest of Dean. Hover your mouse over any one of those photos to see where it was taken. Please see our Forest of Dean page for more information about the attraction of the Forest of Dean and things to do and see. At Pike House Cottage there are two pubs serving meals just a short walk away. The closest is The Miners Country Inn which serves breakfast, lunch and dinner 7 days a week. The other, only a little further away, is The Orepool Inn which has established such a good reputation that you need to book for Saturday nights in advance. Actually the quality of the eating places in the area is amazing. You'll be spoilt for choice. Another nearby place recommended by guests is The Ostrich Inn in Newland. Their website (theostrichinn.com) provides a menu with prices. A little further away is The Boat Inn. This is nestled in the Wye Valley and situated right on the edge of the River Wye overlooking the old railway bridge that crosses from Redbrook to Penallt. Their website (www.theboatpenallt.co.uk) also provides a menu with prices. A bit nearer is the Wyndham Arms in Clearwell (www.thewyndhamhotel.co.uk) with a good report from our guests. In the nearby market town of Coleford there are good shops and other amenities such as a laundrette. For Sunday newspapers, for example, the nearest corner store is at Milkway. It's only 3/4 of mile away. There's a post office in the corner store too. Head towards Coleford and turn right when you see the sign pointing left for Clearwell Caves. The corner store is in front of you at the next junction. Travelling from the North taking the M50 and then the A40 until Ross-on-Wye is a good route. Follow sign for Forest of Dean from there. Travelling from South Wales, heading for Monmouth also makes a good route. Monmouth is only about 10 minutes drive from the cottage. Travelling from the South the M4/M5 Almondsbury interchange is only 35 minutes drive by car from the cottage if you take the M48 over the old Severn Bridge. Reaching the cottage by train is also possible by getting off at Lydney. Cheltenham Spa station to Lydney Junction station, for example, normally takes 32 minutes by train and trains run approximately hourly at most times of the day. The cottage is 6 miles from Lydney station.